Slow moving glaciers and the deposits they left behind thousands of years ago have defined the landscape and geology of Upstate New York. Those deposits also provide a fascinating opportunity to study different variations of soils and rocks. 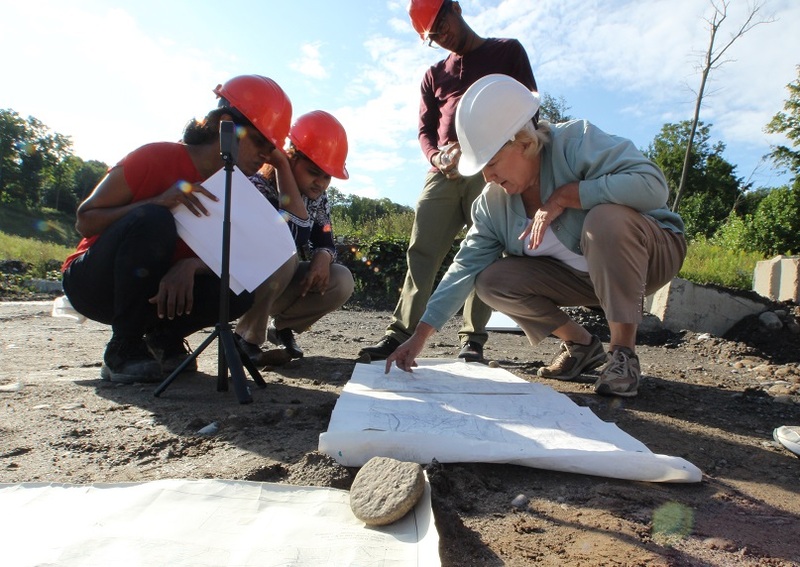 On Aug. 23, civil and environmental engineering Professor Shobha Bhatia and geologist Eileen Gilligan took graduate students Chinthoory Ganesalingam, Nuzhath Fatema and Engda Temesgan to a terminal moraine a half hour south of Syracuse in Tully, New York. Terminal moraines are ridges of debris that were deposited at the end of a glacier. “The purpose of this trip and inviting doctor Eileen Gilligan is to give these students experience where we get these natural materials – sand and gravel and the very, very unique history, geological history of Upstate New York,” says Bhatia. “Today we got to experience what the glacial geographic structure was like thousands of years ago and how with time as the ice melted it deposited different soil types,” says Temesgen. “We are known for our glacial features. We looked at the sands and gravels that are deposited here. It is an ice contact deposit so this material came right out of the ice, it was ground out by the ice, initially all this material was bedrock and it was ground up and deposited here when the glacier was actually melting,” says Gilligan. “It is like a small walk in history. It gives you a sense of perspective,” says Temesgen.